The watch shot for this picture is the original piece worn by the actor in the movie. 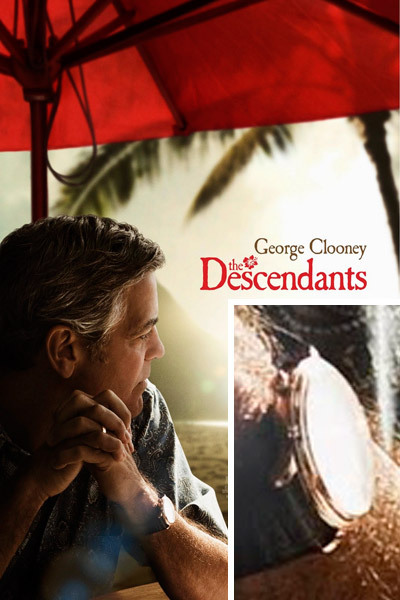 The watch can partly be seen on the movie poster. 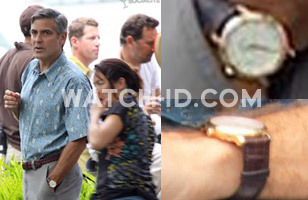 It is an Omega, since George Clooney is an active brand ambassador for the brand. 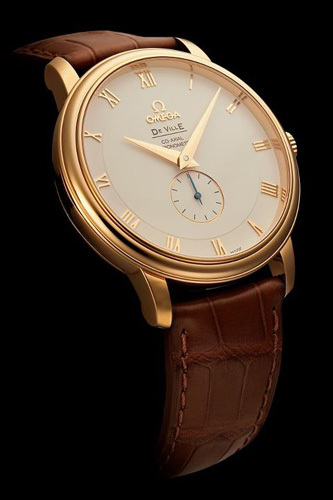 Omega confirms on their Facebook page that George wore the Omega De Ville Prestige Small Seconds modelnumber 4614.20.02 (the version with white dial). 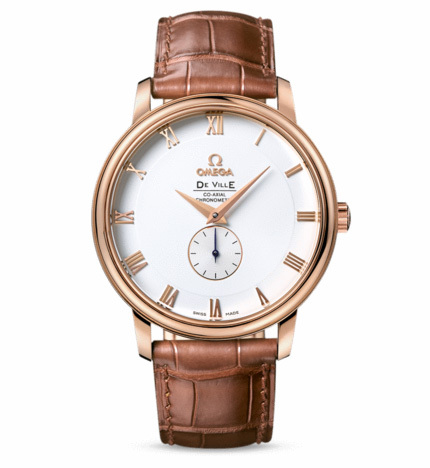 George Clooney was spotted at the 2012 Oscars ceremony with the same De Vllle Prestige watch.